Some may smile at the idea of ripe cucumbers, and say that the very thought of them, like the smell, is offensive… But whatever other uses are made of the cucumber, I entreat the reader not to use it in the form of pickles. These, of almost all the forms of vegetable substances, seem to me worst adapted to the human stomach; and I cannot but hope will be shunned by every reader. A small portion of the bounty of cucumbers coming out of our garden. Do you get the impression that Mr. Alcott does not care for pickles? He may have been wrong about them being “the worst adapted for the human stomach.” Google pickles and you’ll find quite a few articles touting the health benefits of pickles. Cucumbers with a cilantro-lime dressing. 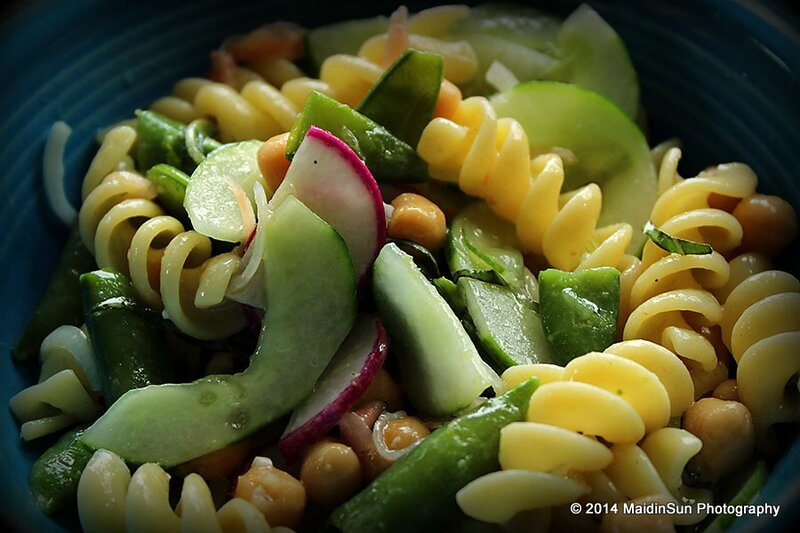 Our cup runneth over with cucumbers. Not only are we harvesting several a day from our garden, but the CSA we joined continues to include 4-6 cukes in our weekly share. We have been eating a lot of salads that include cucumbers. And there is usually a bowl of cucumbers and onions in the fridge. 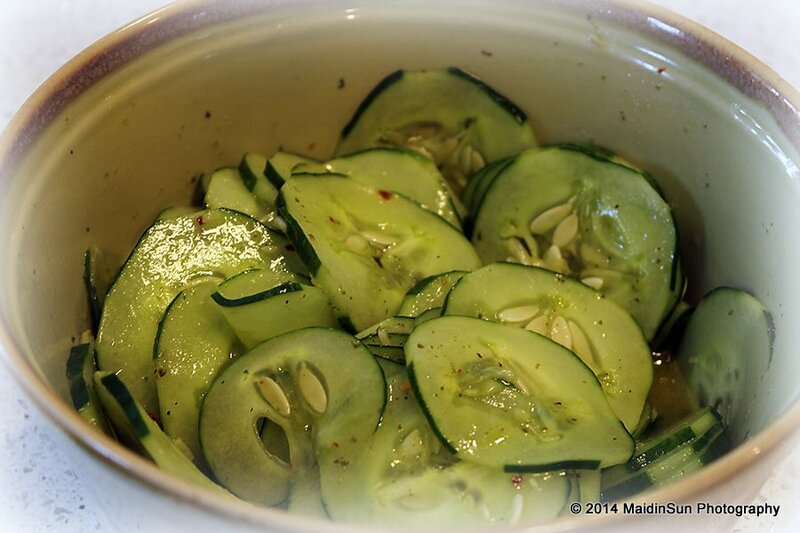 When I was a child, my mother made cucumbers and onions during the cucumber months of summer. There was always a bowl of them sitting on the kitchen table, and the bowl was always empty by the end of the day. Mom’s cucumber and onions are pretty simple. One part vinegar (Mom used apple cider vinegar, but feel free to play around with different vinegars as they impart different flavors), one part water, thinly sliced cucumbers, and thinly sliced onions. The amounts depend on just how much you care to make. Just make sure the cucumbers and onions are swimming in the vinegar-water mixture. If you want a slightly sweeter version, add one-half cup of sugar for every cup of vinegar you use. Refrigerate if you’re adding sugar. Without the sugar, you can leave them out at least for the day. 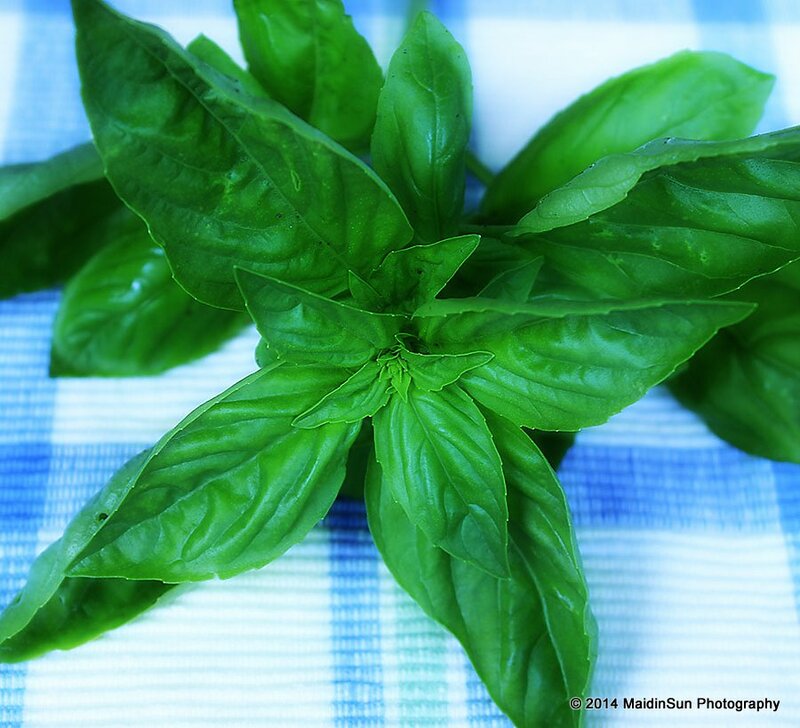 We have lifetime supply of basil, too. Today I made cucumbers three ways. Cucumber salad with a cilantro-lime dressing. 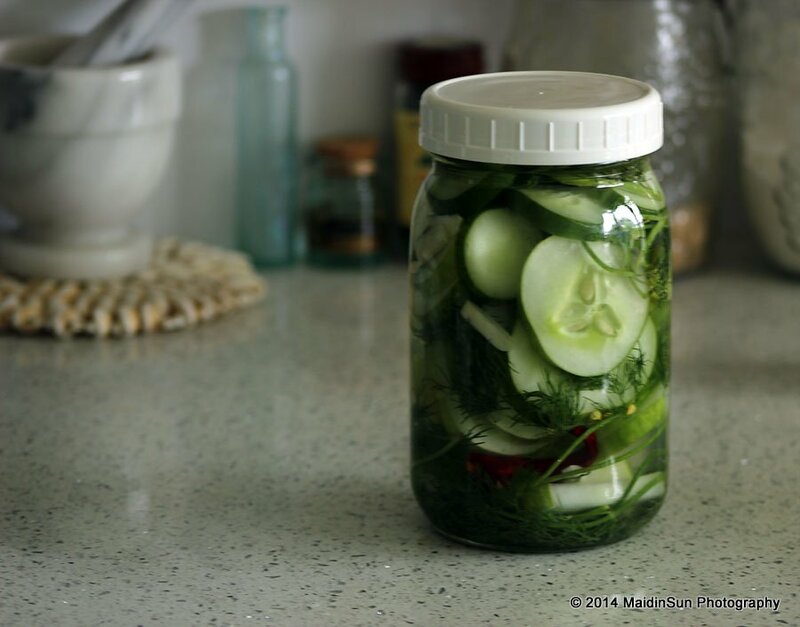 Refrigerator dill pickles. Beginnings of a pasta salad. And a pasta salad that included not only cucumbers, but basil (we have tons of it ready to be picked and have already made and frozen a lot of pesto), radishes (got a bunch from the CSA this week), and green onions (from our garden). The pasta salad was super delicious and very refreshing. I don’t usually think of pasta salads as refreshing. 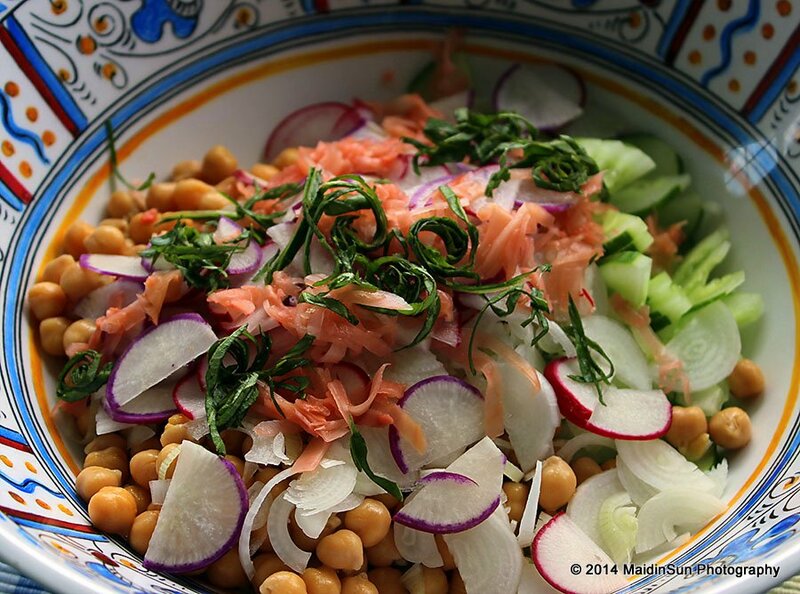 It’s made with pickled ginger and a miso dressing. Here is the recipe, in case you’re interested. I did not have any green beans on hand, so I substituted sugar snap peas. The crunch and slight sweetness worked out well with the rest of the ingredients. Pickled ginger, by the way, is one of my favorite foods. It’s the reason I was willing to try sushi all those years ago. I eat it for the wasabi and the pickled ginger. The rest is just a vehicle for those items. I reckon that’s it for this foodie Friday. Thank you for stopping by. Help yourself to some cucumbers. We have plenty. While you’re at it, take a couple of handfuls of basil, too. In about a week or two, I’ll be giving away tomatoes with those cukes and basil. I’m going to head over to the organic dairy and get some fresh mozzarella so we can make a Caprese Salad when the tomatoes are ready. You are also welcome to some black raspberries. We picked a quart of them this morning, and I’m sure there are more out there ready to be picked (or eaten by the birds). 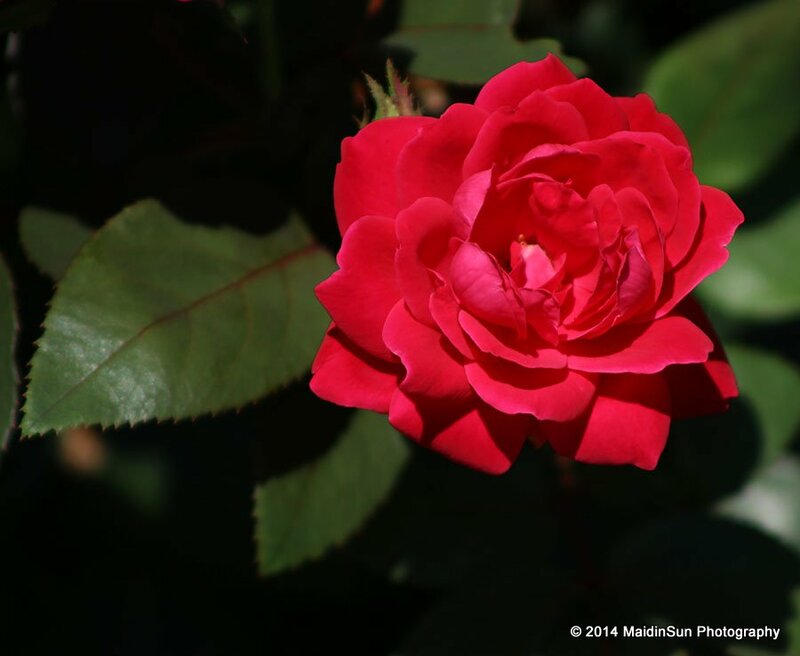 I don’t think these roses can get any redder. 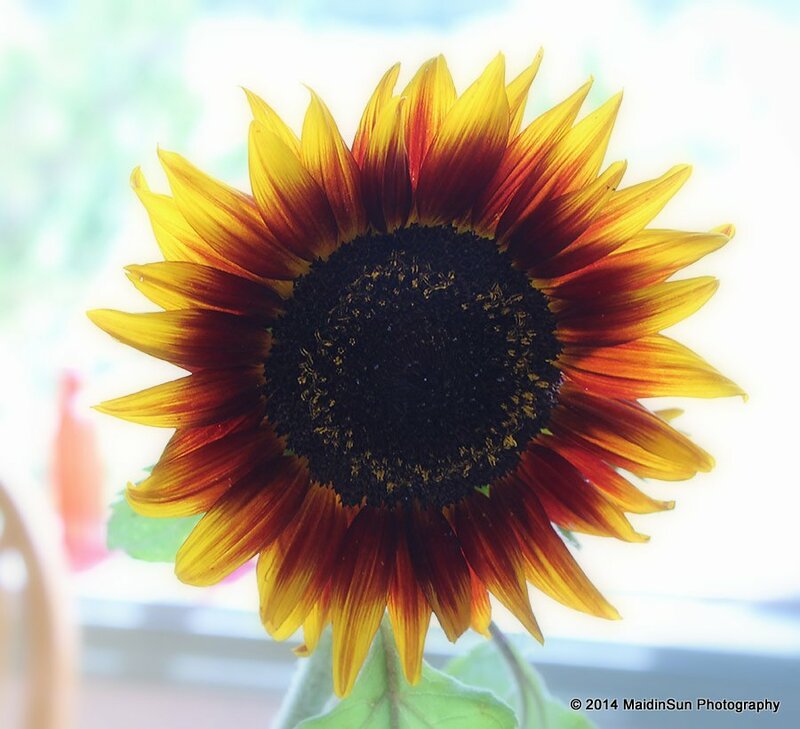 Today’s joys: Fresh vegetables from the garden; sunflowers and roses; clouds moving in and out; new recipes to try; the dishwasher (because I’ve been dirtying a lot of dishes today! ); all you lovely, blogging people. Your cukes and onions sound utterly delicious. I’ll have to try some, though we’re a bit behind in getting them just yet. 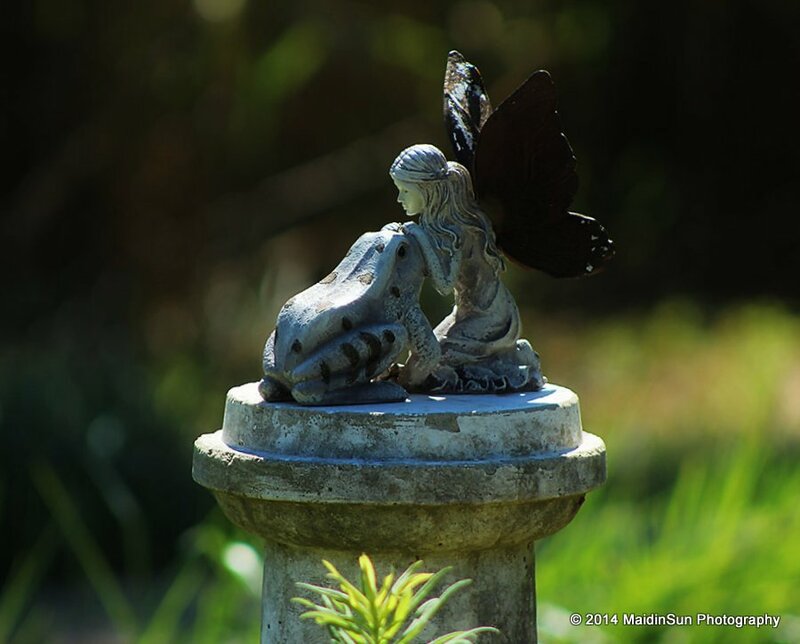 Love the fairy and frog statue. The meals you are making from your bounty look delicious. Yum! Thank you, Colline. 🙂 This time of year makes cooking easy. We are sitting on the balcony, overlooking the notsogreatlake, eerie, wishing we had one of those cukes. We do have basil. Love the photos! Though not a huge pickle aficionado, I would try yours. That looks pretty good. Although I like cucumbers .. I would get tired of them very fast with that many around to eat. Good thing you are a creative cook. Thank you, Bearyweather. 🙂 I think I’m at the end of my creativity when it comes to the cucumbers. I honestly cannot think of one more thing to do with them. oh I am saving this for future reference. I love pickles and I love cucumbers! What a lovely slice of life…you seem to be really enjoying these summer days and the bountiful harvest. Thank you, Bo. 🙂 I’m doing okay with the summer days (I’m not a fan of heat and humidity, which is a pity because I’m living smack in the middle of it), and barely keeping up with the harvest, but finding joy in it as often as possible. Love this time of year with fresh things beginning to emerge from the garden. You are quite far ahead of Massachusetts’ gardens of course. Still waiting on my first cucumber – it will be ready soon, I spied one yesterday getting close. I’ve eaten zucchini, broccoli ( a little bit I had to cut away before it flowered) and red raspberries from my garden so far. Might have to give your cucumbers and onions a try! 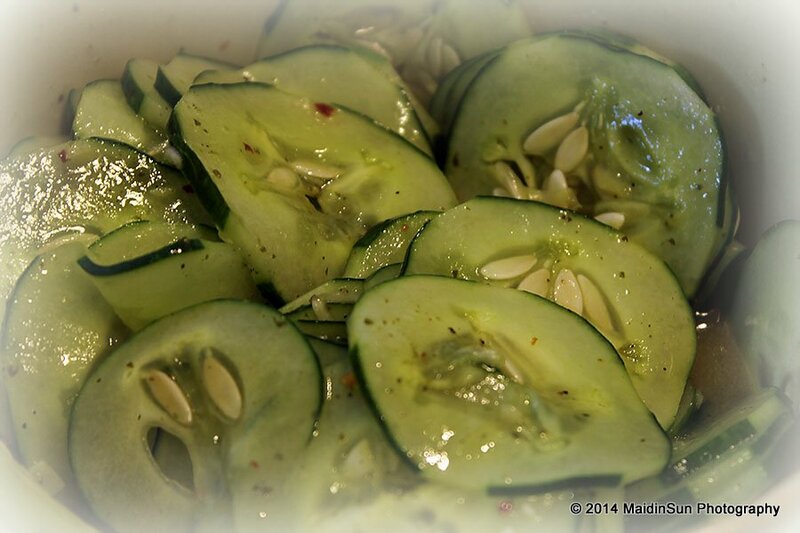 Now I am hungry for pickles–or maybe just cucumbers! 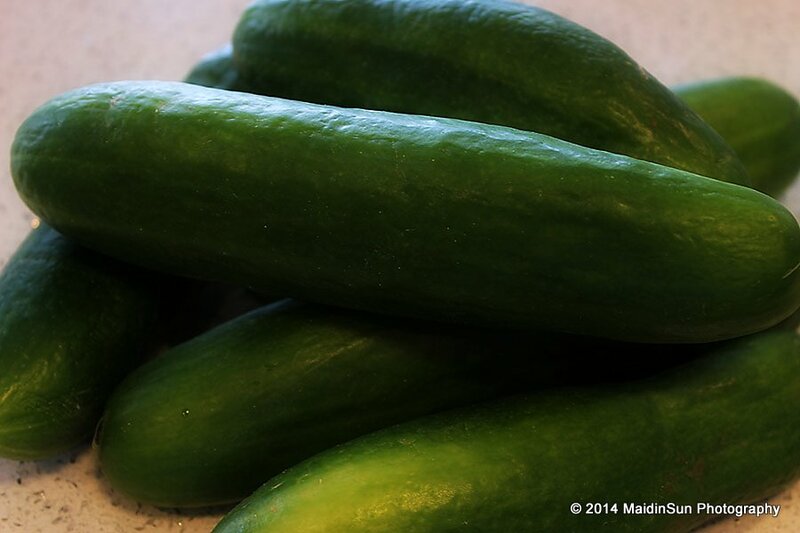 It will be a long time before we’ll see any garden cukes, so will have to be satisfied with store-bought lovelies.